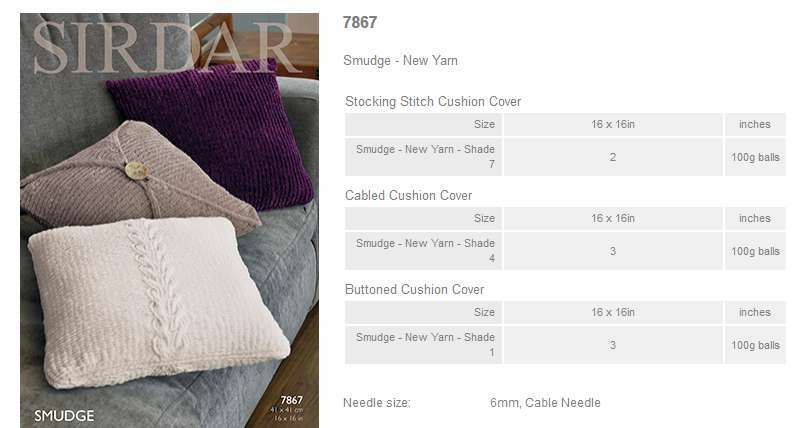 Yarn Type Chenille yarns are well and truly back in fashion, and Smudge is one of the softest chenille yarns you’ll find, with the most incredible stitch definition! 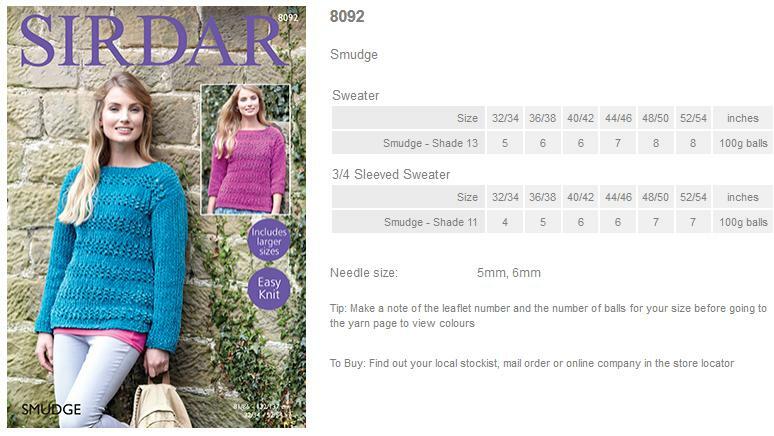 Sirdar Smudge comes in a palette of 10 shades that includes the soft, pale pastels of Nuzzle and Raffles, as well as the stronger, richer shades of Heirloom and Flock. 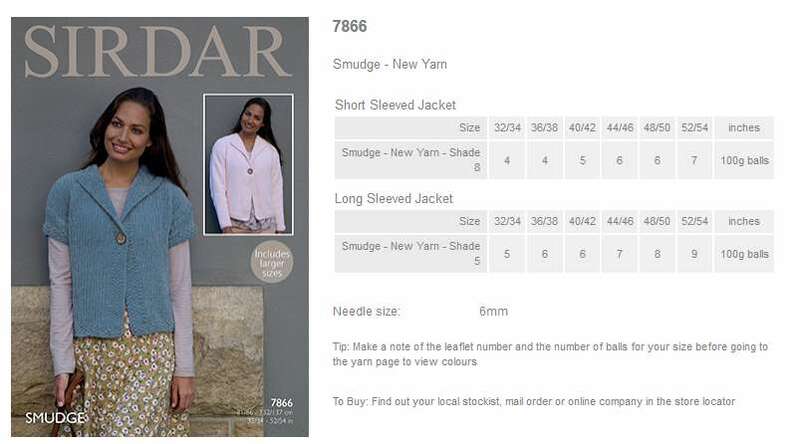 The Sirdar design studio has designed a collection of 8 leaflets with designs for women, girls and the home. 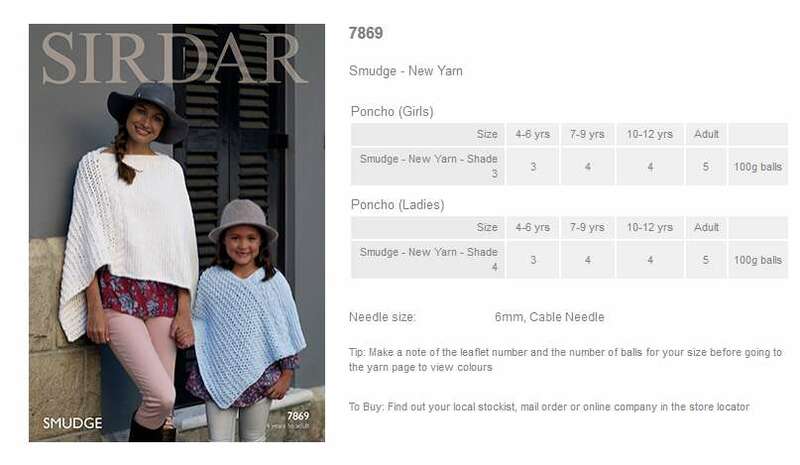 There are simple shapes, stylish ponchos and the cosiest of accessories. 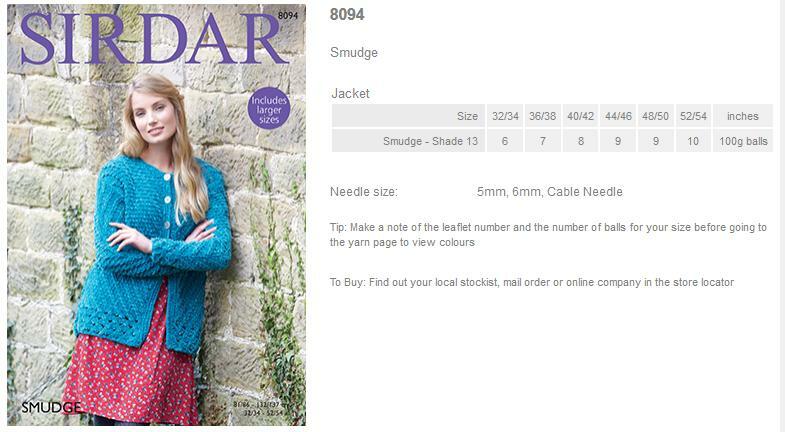 This is a yarn we know you’ll just love to knit and wear. Machine washable. Wool Cycle. 100% Polyester. 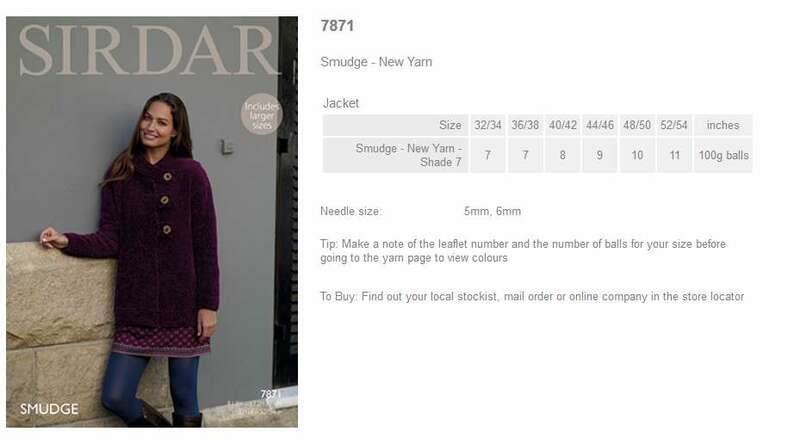 Leaflet with a design for a Jacket using Smudge. 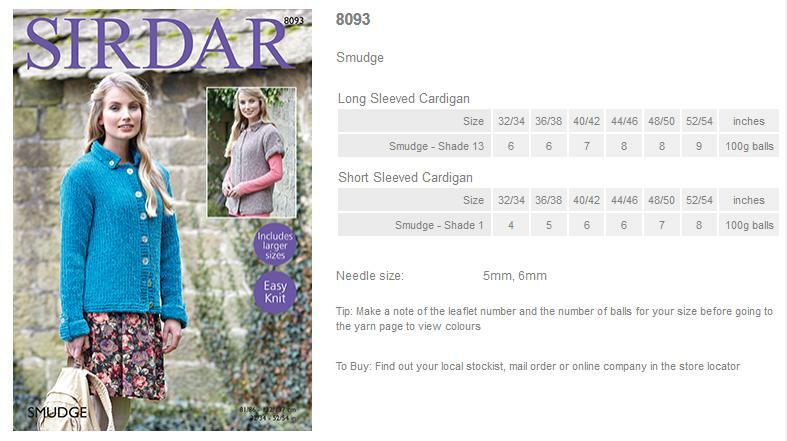 Leaflet with designs for Long and Short Sleeved Cardigans using Smudge. 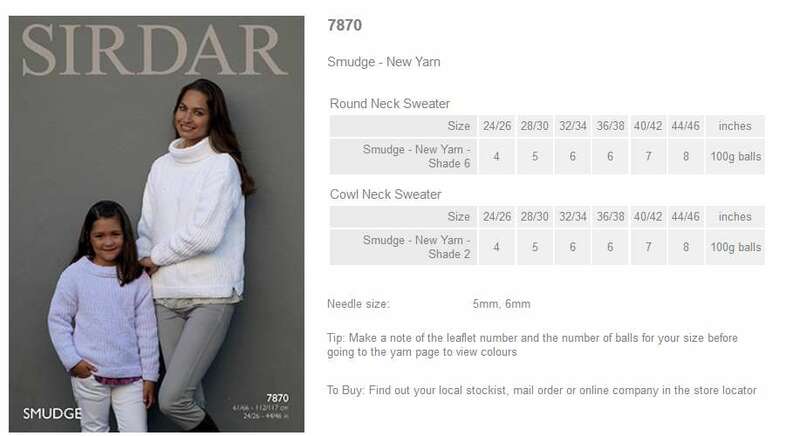 Leaflet with designs for a Sweater and 3/4 Sleeved Sweater using Smudge. 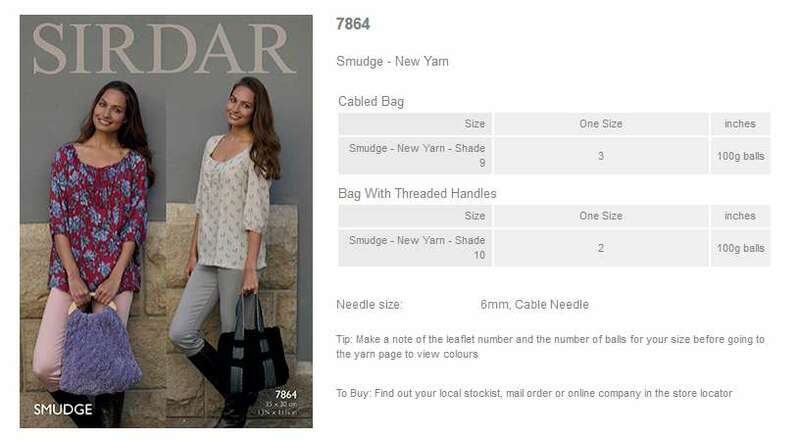 Leaflet with designs for a Cabled Bag and Bag with Threaded Handles using Smudge. Leaflet with designs for a Jacket and Waistcoat using Smudge. 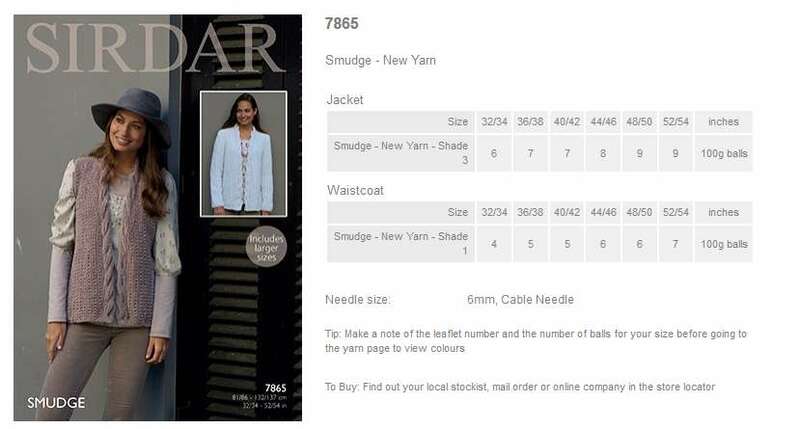 Leaflet with designs for Short and Long Sleeved Jackets using Smudge. Leaflet with designs for Cushion Covers using Smudge. Leaflet with designs for a Hat, Scarf and Snoods using Smudge. Leaflet with a design for a Poncho using Smudge. 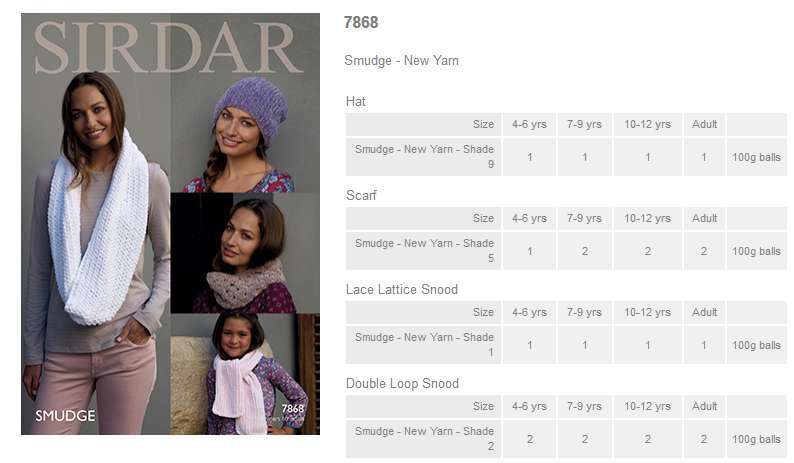 Leaflet with designs for Round Neck and Cowl Neck Sweaters using Smudge.